Xiaomi joined the gaming smartphone bandwagon by launching the Black Shark in April last year. The device was developed in collaboration with Black Shark and was succeeded by the Black Shark Helo. 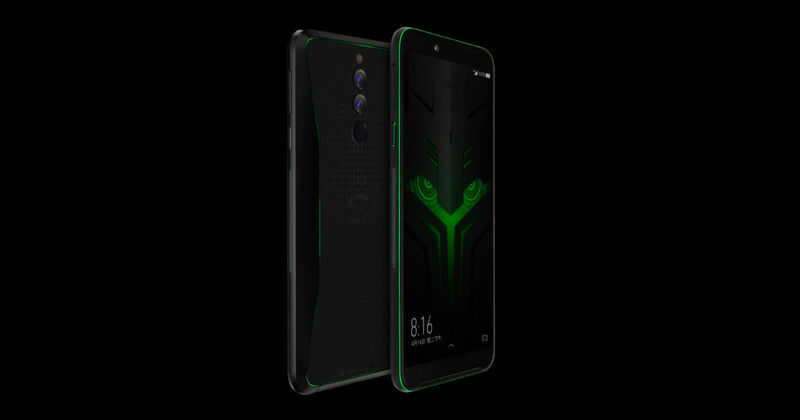 Last month, a new Black Shark smartphone with codename SkyWalker was spotted on Geekbench. Now, there’s more proof that Xiaomi is indeed working on a successor to the Black Shark and that it is almost ready for prime time. The product director at Xiaomi, Wang Teng Thomas, recently posted on Weibo that he has had hands on time with a new Black Shark device. He stated that the new phone is ‘very cool, too fast and full of personality’. The phone spotted on Geekbench last month was powered by the Snapdragon 855 chipset and had 8GB of RAM. It ran Android 9.0 Pie software and had great single-core and multi-core scores. The phone scored 3494 points in the single-core test and 11,149 points on the multi-core benchmark. The original Xiaomi Black Shark featured a very unique design and powerful internals. Xiaomi equipped the phone with the Snapdragon 845 chipset and up to 8GB of RAM and 128GB storage. It was then followed by the Black Shark Helo in October, which brought plenty of design changes along with 10GB of RAM and 256GB of internal storage. However, the Helo wasn’t really the successor of the Black Shark. We expect Xiaomi to launch the new Black Shark 2 smartphone in April 2019, since the original Black Shark was also launched in April of last year. The phone could see a new design, possibly with thinner bezels and an improved display. We also hope that Xiaomi works on the camera performance on the upcoming device. The gaming smartphone segment is still a new one and there aren’t a lot of players as of now. It all started when gaming brand Razer came out with its Razer Phone and introduced some impressive features. We are not sure if we actually need a gaming phone segment, since most high-end phones can already provide a great gaming experience.